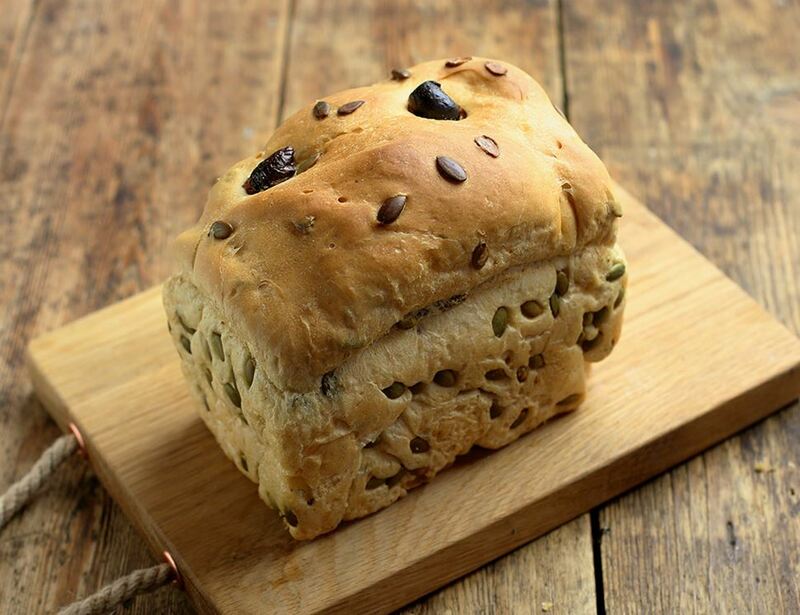 The Authentic Bread Company’s olive and pumpkin seed bread has won awards for how good it is. Baked in extra virgin olive oil and allowed to slowly ferment, this makes a delicious, savoury artisanal loaf. Made to be a centrepiece at dinner parties. Wheat flour* (wheat flour*, calcium carbonate, iron, niacin, thiamin), water, Pumpkin seeds*, black olives*(6%), olive oil*, yeast, salt. 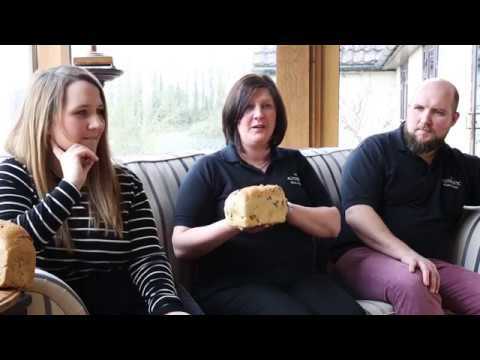 Best stored in bread bins made out of wood or unglazed clay as metal and plastic prevent the bread from 'breathing' and encourage the growth of mould. Cotton bags or even paper bags are good provided they are stored in a cool dry place. Do not store bread in the refrigerator as this actually encourages the aging process. Our bread freezes well, but it is only worth doing if you want to store it for more than 5 days. Whilst we do our best to ensure that the bread is free from them, there is a very small chance it may contain olive stones.